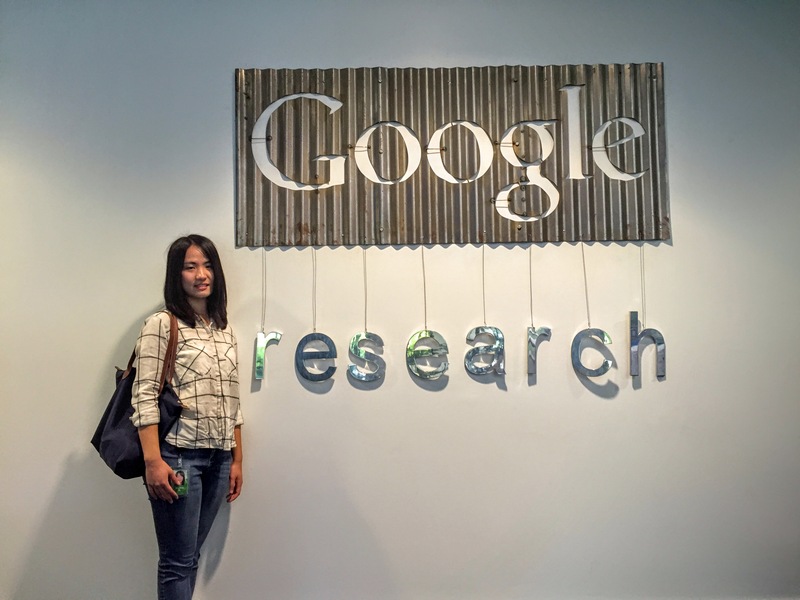 Siyang Li, a PhD student in MCLab, obtained an intern offer from Google. Congratulations! We have an interview with her about internship hunting. What is the normal intern hiring procedure and how did you prepare for it? For internship in big tech companies, usually we can apply online or through internal referral. If the resume review goes well, we can proceed to phone interviews, solving some programming problems. That definitely requires a lot of practice. I spent several months on it last year. After passing the phone interviews, there are team matching interviews and we need to find out the most suitable team to work with. Good communication skills would help. Sometimes, you have to go through several matching interviews before getting an offer. I did an intern last year at Google and this year I get a returning offer, which is a lot easier as long as one performs well in previous interns. How was it like working at Google? My colleagues were quite helpful. My host was always happy to answer any question and I did ask a lot. The working environment was also quite relaxing. You can get free meals and snacks every day. There are also gyms and video game rooms. Now those facilities become a standard in software industry but I think it was Google who started it. Any suggestions for your fellows? I think PhD students should be careful about team matching when searching interns. Working on a project closely related the research topic would be an ideal situation; otherwise, it is better to think twice before accepting an offer. Of course, this strategy increases the risk of not getting an offer, so I would suggest starting intern hunting early. Starting early means more available positions and there is a higher chance to find a suitable team.